What Is Radiation Oncology? 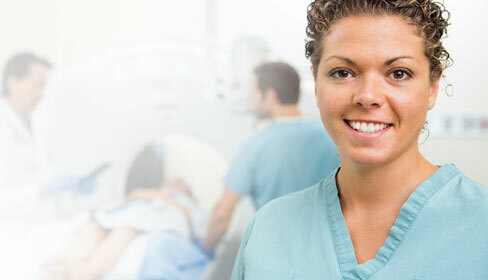 Radiation oncology is a medical specialty that uses radiation to treat cancer. Radiation affects cancer cells only in the treated area. The treatment itself is painless and the radiation is used to damage cancer cells, stopping them from growing and dividing. Radiation can come from a high energy X-ray machine (external radiation) or from a small source of radioactive material placed close to or directly into the tumor (brachytherapy). Shields blends state-of-the-art technology with warm personal care from a multidisciplinary radiation therapy team. The team includes a radiation oncologist (a physician who specializes in using radiation to treat cancer), medical physicist, dosimetrist, radiation therapist, and oncology nurse. The Shields team records every minute detail of a patient’s daily treatment in an electronic medical record, or EMR. Our systems cross-check all of this information to ensure accuracy before any radiation beam is turned on. The EMR not only provides important quality assurance, but also allows very detailed patient information to be right at the physician’s fingertips.